16x20" painting on wrapped canvas. Ready to be framed or hung as is. Comes signed & dated. 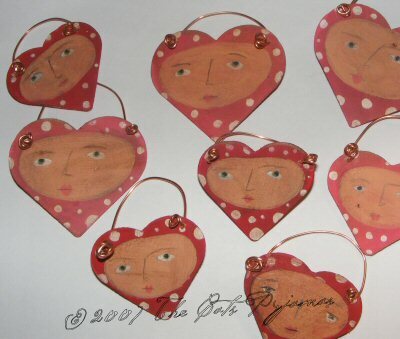 Wooden hearts painted red or pink with white polka dots and a whimsical face. Sizes vary from 2" to 2½" across.